Every day, we are exposed to countless viruses, bacteria, and toxins. It is easy to get sick if your immune system is not robust enough. Luckily, pure essential oils provide an easy and accessible way to detox and protect your body against pathogens. But which essential oils are best for revving up the immune system and removing toxins from your body? Lemon is a well-known detox ingredient. Many people drink lemon water every morning to cleanse their digestive tract and wake up their metabolisms. 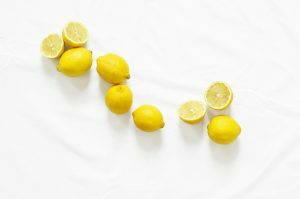 You can put a drop of lemon essential oil in your drinking water to detox, burn fat, and improve your immune response. Lemon oil is great for fighting off infections, as it is naturally antibacterial and antifungal. The oil is extracted from the most nutritious part of the citrus fruit: the peel. It is full of vitamins that support your immune system to help your body fight off colds and infections naturally. Enjoy a cup of water with lemon essential oil, or put some in a diffuser and breathe in the refreshing scent. Like lemon oil, peppermint essential oil is antibacterial as well as antiviral. This makes it an excellent choice to help fight infections. In laboratory studies, peppermint has been shown to prevent the growth of some cancers. 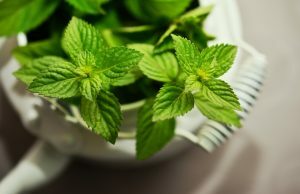 Peppermint oil naturally reduces inflammation in the body, particularly in the digestive tract. It also reduces symptoms of seasonal allergies. Put some peppermint essential oil in a diffuser and breathe deeply. This will reduce inflammation in the respiratory tract and help fight congestion. Eucalyptus oil is antibacterial and helps fight off colds. It stops the growth of the bacteria that cause pneumonia. You can put some in a diffuser and breathe in the mist to promote respiratory health. This essential oil kills both lice and fungus. It is, therefore, an excellent ingredient for a hair mask. Mix it with a carrier oil and rub it into your scalp for clean, pest-free hair. Eucalyptus oil is also effective at preventing cavities and improving bad breath. It’s great if you want a natural alternative to mouthwash, which often contains alcohol, dye, and other unwanted chemicals. Tea tree oil is what got a lot of us into essential oils in the first place. It is a fantastic antimicrobial. Many people have gotten great results using it on acne, as it kills acne-causing bacteria. Tea tree oil stimulates the immune system when you breathe it in. You shouldn’t drink tea tree oil, but you can still enjoy its benefits by diffusing it. You can also apply diluted tea tree oil directly to wounds. This will encourage faster healing by boosting the immune response and improving blood flow to the affected area. It also promotes sweating, which releases toxins from your body. Overall, tea tree oil is one of the best detox oils because of its cleansing effect.